We are one of the trusted firms of PP Bristles. Our products are extremely well-liked in the market owing to their top features. 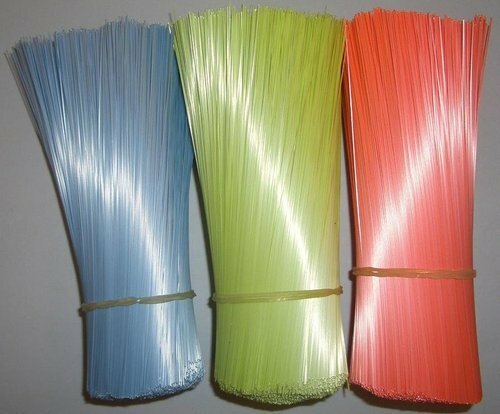 Established in the year 2014 at Dhoraji (Gujarat, India), as a Partnership company, we “Dhyey Plastic”, are devoted towards Manufacturing and Supplying the finest quality range of Pet AGRICLUTER WIRE, Sutli, Virgin Sutli, PVC Stretch Film, Pet Strap, etc. The offered range products can be availed in diverse technical specifications to meet the varied client demands. Moreover, because of our transparent business deals, easy payment options and cost-effectiveness, we are highly acknowledged in this industry. Under the leadership of “Mr. Rushit Patel”, we have been able to establish ourselves among the top companies of the industry within a short time span.